A student of the famed teacher Howard Pyle, N.C. Wyeth (1882-1945) is credited with creating over 3,000 paintings and providing illustrations for over 100 books. 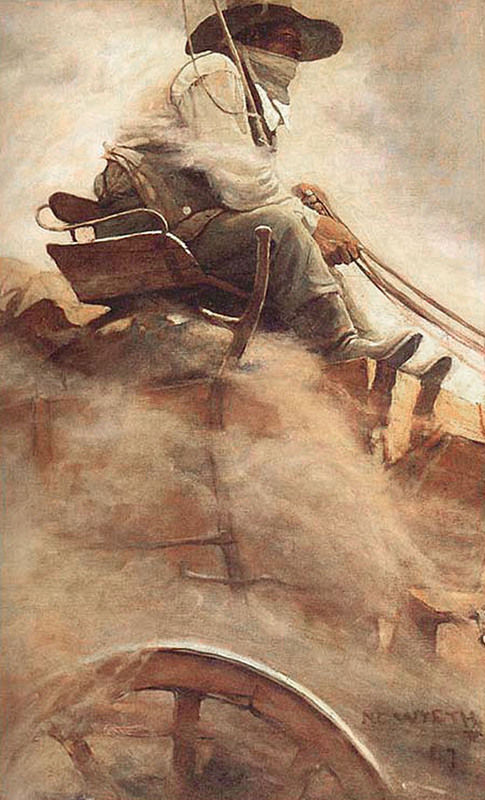 Wyeth's first published illustration was for the cover of the February 21, 1903 edition of The Saturday Evening Post. Well known for his paintings of the American West, the artist painted a cowboy riding a bucking bronco. As with many other illustrators of the period, Wyeth created painted advertisements for corporations like Coca-Cola, Lucky Strike, and Kelloggs, and illustrated covers for magazines like Judge, Ladies' Home Journal, McClure's, and The Popular Magazine. Wyeth's lasting popularity lies in his prodigious book illustrations. 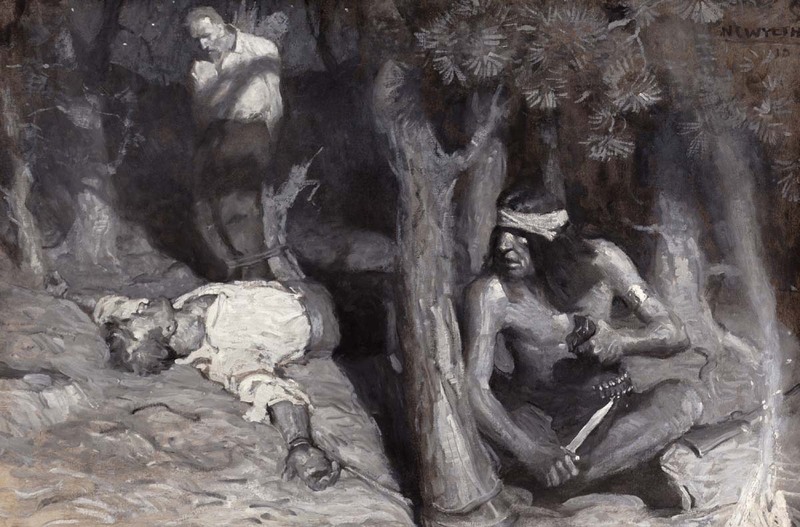 Beginning in 1911, Wyeth illustrated Treasure Island for Charles Scribner's Sons. 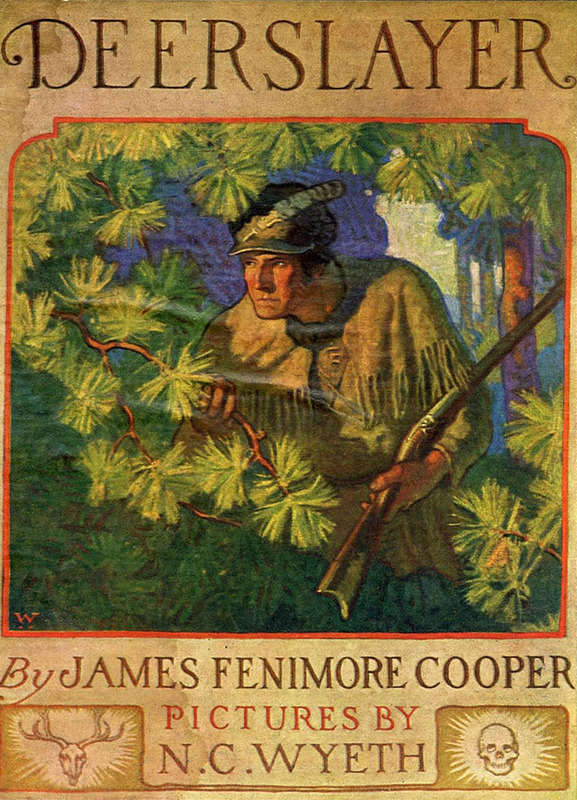 The illustrations were immensely popular; Wyeth followed up this achievement with illustrations in several additional adventure books of classic literature including Robin Hood, Rip Van Winkle, The Last of the Mohicans, Robinson Crusoe, Kidnapped, and many others. Allen, Douglas. 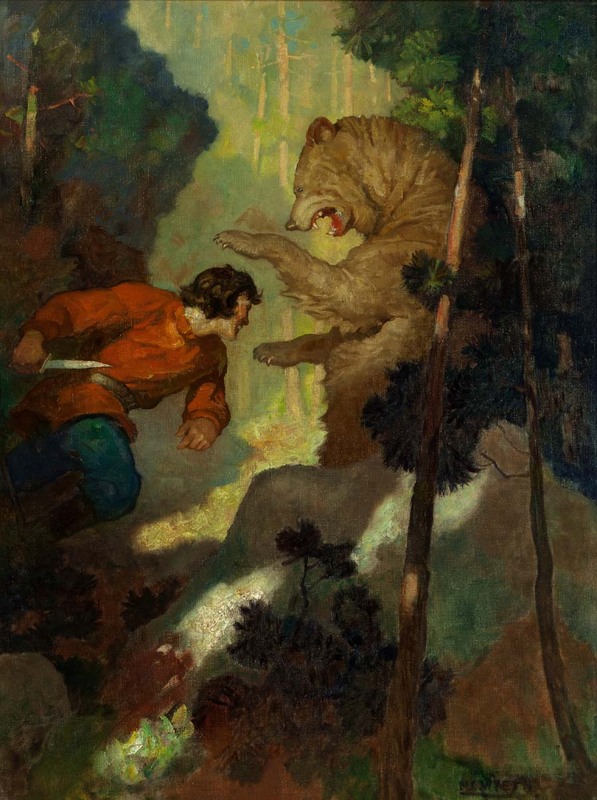 N.C. Wyeth: The Collected Paintings, Illustrations, and Murals. New York: Crown Publishers, 1972. Dell, John Edward and Walt Reed. 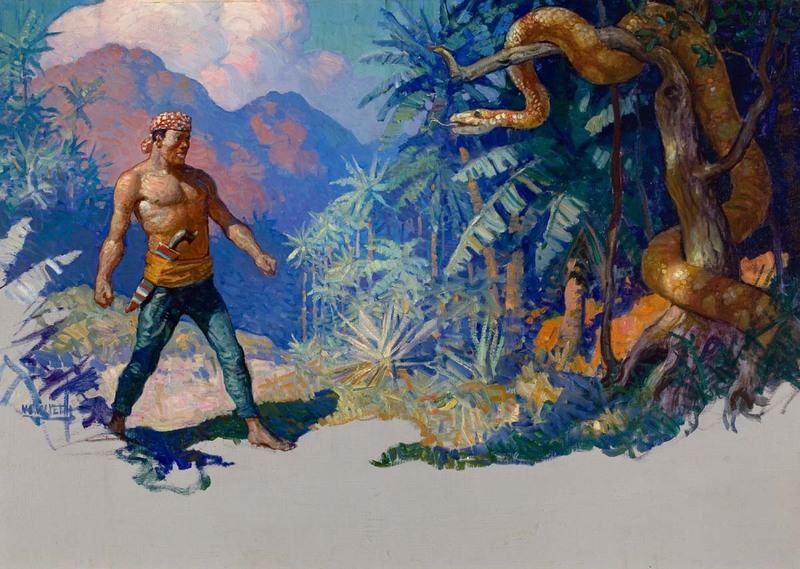 Visions of Adventure: N. C. Wyeth and the Brandywine Artists. New York: Watson-Guptill Publications, 2000. Duff, James H. An American Vision: Three Generations of Wyeth Art: N.C. Wyeth, Andrew Wyeth, James Wyeth. Boston, MA: Little Brown and Company, 1987. Menges, Jeff A. Great Illustrations by N. C. Wyeth. Mineola, NY: Dover Publications, 2011. Michaelis, David. N.C. Wyeth: A Biography. New York: Knopf, 1998.